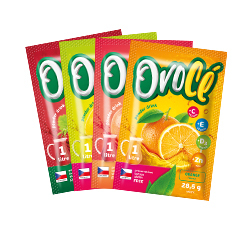 VITAR company, a Czech traditional producer of vitamin supplements, produces a whole range of products for a healthier life in the production plant in Tišnov, which is situated near Brno. In this production plant there are produced vitamins, minerals and other products under our brands MaxiVita, Revital, Energit, Revival, Revitalon, Irbis, OvoCé or eMVe. 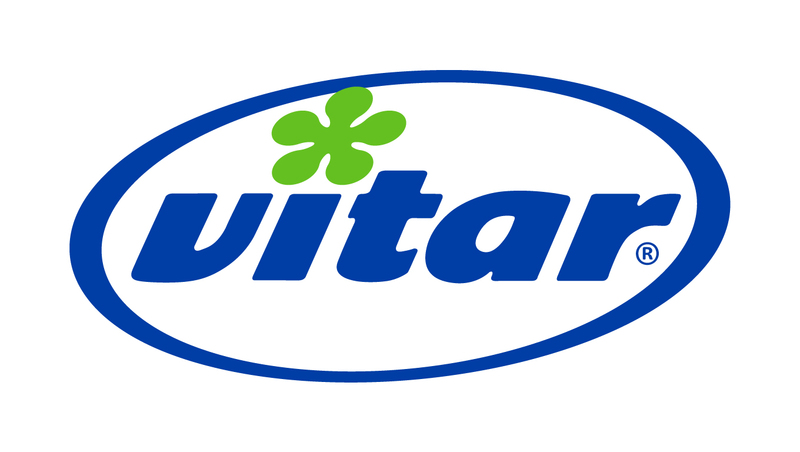 VITAR is also a distributor of top repelents Predator, it also produces popular drinks under the international licence Capri-Sonne and the subsidiary company VITAR Veterinae offers veterinary preparations for pets. 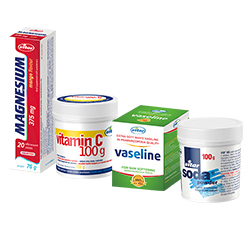 MaxiVita is a Czech brand of widely affordable vitamin supplements and one of the most important brands of VITAR company. 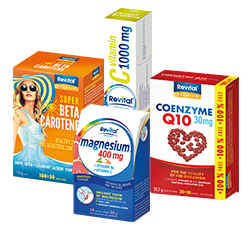 Revital is a Czech traditional premium brand of quality vitamin supplements intended for demanding consumers. 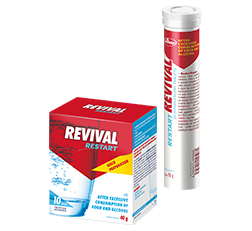 Revital offers excellent taste, complex composition, strong dose of active ingredients, uniformed modern desing and a selection of different forms of use. 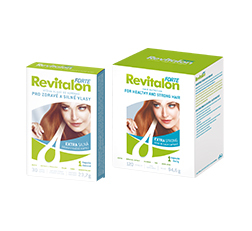 Revitalon represents a complex programme for beautiful and strong hair in the form of capsules and is one of the traditional brands of the Czech company VITAR. 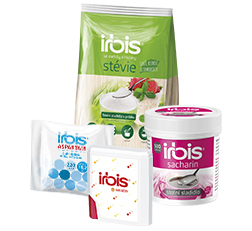 Products under the Irbis brand are modern table sweeteners offering a solution to every one, who is looking for a quality alternative to sugar. It is a range of new generation sweeteners, which are suitable also for diabetics, weight loss diets or people reducing sugar in their diet. 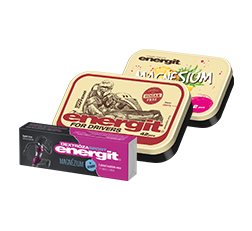 Energit is a traditional brand of vitamin and energy tablets in legendary tin boxes. Under the Energit brand we produce also four flavours of grape sugar enriched with vitamins and two kinds of energy tablets for quick replenishing of energy - Energit Dextrose sport. Predator is number one among repelents. 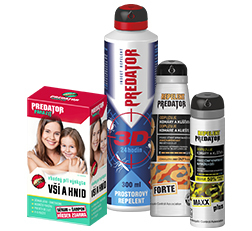 Predator brand ranks to the top among modern protective preparations against intrusive and dangerous crawling as well as flying insect, for example mosquitos, ticks, lice, moths or flies, and offers effective protection even against possible infection, which can be spread by this insect. 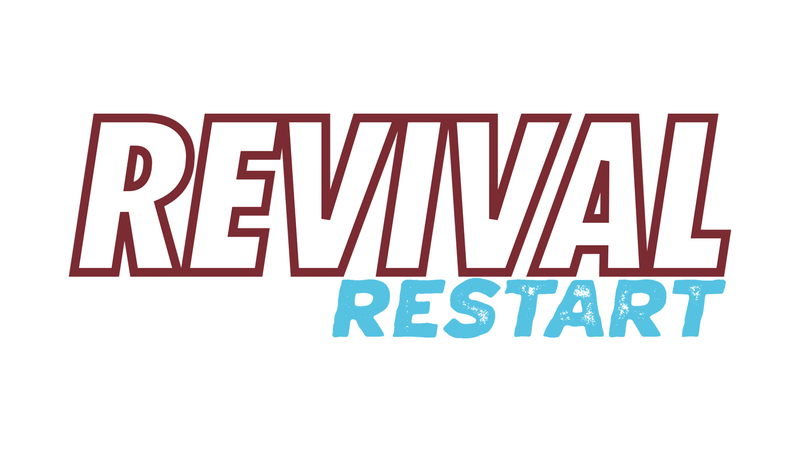 Revival helps with digestion of hard to digest food, it reduces the acidity of gastric juices and adds liquids to the organism. 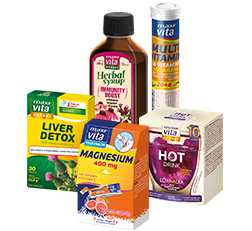 Vitamins and minerals eMVe offers quality food supplements that contribute to the proper functioning of the immune system. It offers an alternative to basic supplements as well as a customer who has to deal with financial issues and wants to take care of their health. It is important to be healthy and lead a healthier life. But even a healthier life should not limit us some ailments. That's why in the Vitar line you'll find skin care products, traditional Vitar Soda against heartburn or pure vitamin C in powder. 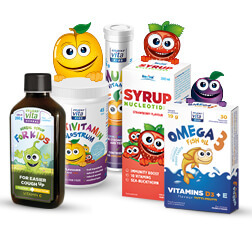 Vitamins for kids are traditional vitamins for children that taste greatly and enhance their immunity. Healthy kids like to play, so vitamins for are available in gift packs with practical toys that we choose for practical and secondary use. OvoCé is a drink for the whole family and for every occasion. Easy and quick preparation, excellent and refreshing taste. 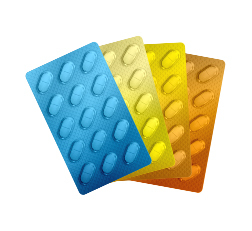 It contains 150 % of recommended daily doses of vitamin C, E, D and zinc. Without preservatives, lactose and gluten. Sufficient drinking is the basis for physical performance, concentration, and a healthy lifestyle. Besides, you can always have your bags for a delicious drink mix. 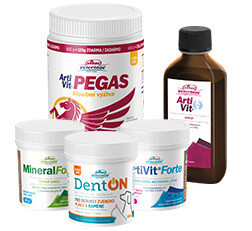 The subsidiary VITAR Veterinae offers veterinary preparations for your pets, including preparations for joints and teeth, vitamins and minerals or antiparasitic preparations and shampoos.